SkinMedica TNS Eye Repair Review (2018): Is It Worth Buying? What Is SkinMedica TNS Eye Repair? 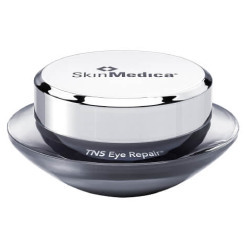 As per the manufacturer, SkinMedica TNS Eye Repair, USD 102 for a 0.5 oz (14.2 g ) jar, is marketed as an eye repair treatment that can reduce the appearance of wrinkles, fine lines, and dark circles. SkinMedica TNS Eye Repair– Does It Really Work? What Are The Ingredients In SkinMedica TNS Eye Repair? How To Apply SkinMedica TNS Eye Repair? Does SkinMedica TNS Eye Repair Have Any Side Effects? SkinMedica is a skincare company that has dedicated long years of research to formulate advanced skin care products that can deliver the highest performance and maximum results to the users. The company promises that all of their products can deliver results that are backed up by science.However according to reviews results are temporary. Take a look at this SkinMedica TNS Eye Repair review and see for yourself is this is the product for you! Boost the hydration in the eye area. Improve smoothness of the skin surrounding the eyes. Visibly reduce wrinkles and fine lines. Deliver support to the skin in the eye area. Diminish the look of dark circles. Keep on reading this review because it has more information about the product! Human Fibroblast Conditioned Media (TNS): This is a patented combination of natural messenger proteins. Palmitoyl Tetrapeptide-7: This is a type of peptide that has been formulated to visibly reduce the appearance of wrinkles and fine lines. Tocopheryl Acetate: This is a form of vitamin E that delivers antioxidant protection to the skin. It neutralizes the effects of free radicals. Retinyl Palmitate: This is a soluble type of retinol that can help in smoothening and tightening the skin around the eye area but it may cause peeling redness on skin. Boron Nitride: This affects the optical diffusion effect of light, reducing the visibility of discolorations and dark circles. It is said to improve the appearance of the skin. Tetrahexyldecyl Ascorbate: This is a lipid-soluble form of vitamin C and can offer protection against sun damage. For best results, use a spatula in collecting the cream. Afterwards, use your fingertips to apply a thin layer of SkinMedica TNS Eye Repair underneath the eyes up to the exterior corners of the eye area. Avoid contact with eyes and your eyelids. Use the product in the morning and at night before putting on moisturizer. Use a spatula in collecting the cream. Afterwards, use your fingertips to apply a thin layer of SkinMedica TNS Eye Repair underneath the eyes up to the exterior corners of the eye area. Avoid contact with eyes and your eyelids. Use the product in the morning and at night before putting on moisturizer. The eye treatment contains advanced and innovative skin care ingredients but it may cause peeling on skin. It is infused with vitamins that can support the health of the skin. The treatment comes in a TSA friendly jar size. This product is one of the most expensive eye creams on the market today. 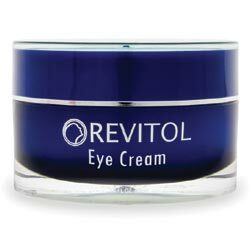 The jar packaging of the eye cream may not be able to maintain the stability of its antioxidant content. There are no reviews or studies that state that there are SkinMedica TNS Eye Repair side-effects. But considering its alcohol content, there is a chance that you may experience dryness and irritation in the eye area. SkinMedica TNS Eye Repair is probably one of the most innovative and advanced eye creams on the market today. However, despite its intricate formulation, the cream still contains alcohol which can cause skin dryness and irritation. Also it does not offer money back guarantee.